THE GARDEN ESTATE was initiated by Anne (30) and Suresh (35) Dittrich. Suresh is Sri Lankan born, but we live in the North of Germany with our twins Ella and Tom (1) at the moment. We are deeply convinced that organic farming is the only sustainable way to feed the world's population. As Buddhists, parents, responsible humans we cannot be part of the destruction and poisoning that conventional farming brings to the environment. Besides we feel challenged to bring the knowledge of organic farming methods back to the Sri Lankan people, that got lost within just one generation. Although we both do not have an agricultural education background (Anne is a sociologist, Suresh is an engineer) our hearts and interest are with the most honest and basic kind of work – producing nourishing foods. Our jobs in the renewable energy sector (wind energy), which we love as well enable us to fund this project at the moment completely privately. 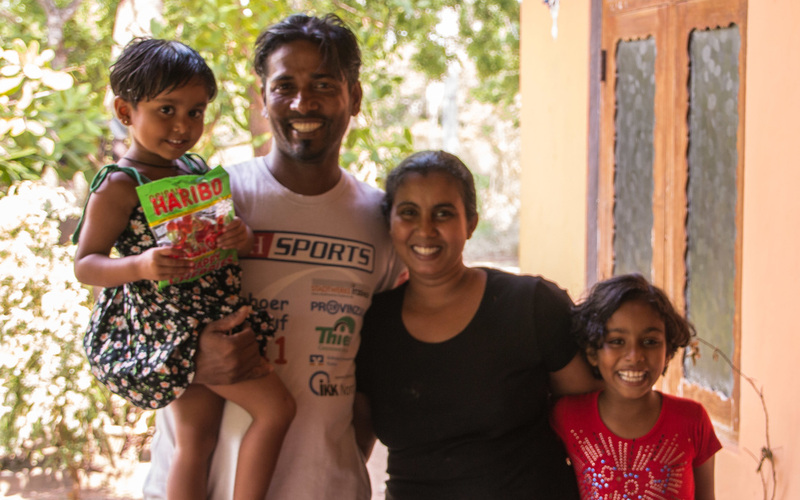 Nilantha Fernando (42), his wife Chamerie with daughters Ruwangi and Umindi and aunt Mary Elizabeth – managing all affairs of THE GARDEN ESTATE in close contact with Anne and Suresh. 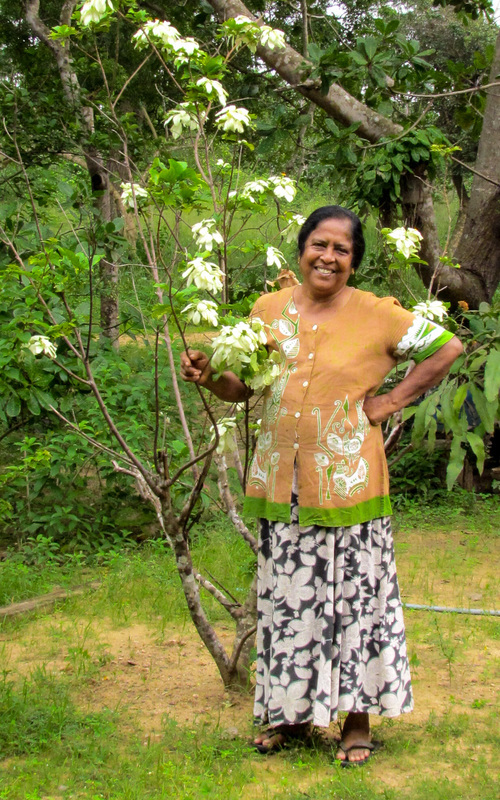 Nilantha worked as a conventional farmer on the Kalpitiya peninsular before he joined THE GARDEN ESTATE. It was quite a mission to convince him of organic farming, but he learned a lot over the last few years about compost, natural pest control methods and ecology. The family leeds a very basic lifestyle, they are Buddhists. Chamerie cooks lovely, Ruwangi is doing very well at school, especially in Maths and Umindi loves to dress up. Sumith (57) – making sure that the elephants stay out of THE GARDEN ESTATE at night, taking care of natural fertilizers and pest control methods. He has worked and stayed on different plantations as a caretaker before. Sumith is from the village close to THE GARDEN ESTATE. He has grown up children, who live in the village. 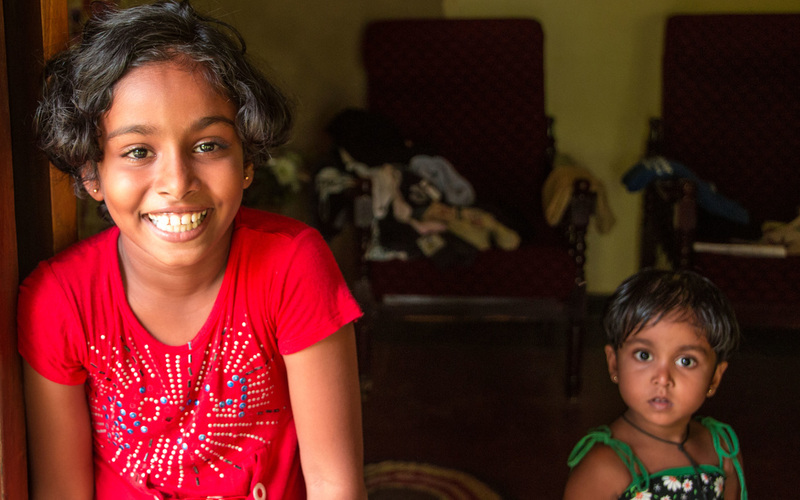 We emphasise to pay equal wages for male and female workers, which is quite uncommon in the male dominated Sri Lankan society and caused some discussion at first amongst the local workers. We are surrounded by friends and family around the world, who follow our vision, share the same values as well as support and encourage us with ideas, practical help and advice. Thomas (32) joined the team in 2014. He is an engineer by heart. Always looking for new and interesting projects for THE GARDEN ESTATE. His interests are related to the principles of permaculture, buidling with wood and bamboo as well as carpentry. When he is not riding the waves of southern Sri Lanka, he is usually helping Anne & Suresh with research topics, editing pictures and working on the website. THE GARDEN ESTATE still has a long way to go, so we are more than happy about any possible support – be it advice, funding or helping hands for example as a WWOOFer. Please get in touch!